Pitching at Alhambra High School has been off the charts and the Moors got another fine effort in Wednesday’s 10-0 victory over Keppel, getting a six-inning no-hitter from Julian Garcia in a 10-0 victory over Keppel. It was Alhambra’s third no-hitter of the season. Garcia struck out 15 in a dominant performance that improved the undefeated Moors to 6-0-1 and 2-0 in the Montview League. Lenny Arriaga was 2-for-2 with a double and RBI, but clearly, it was Garcia’s day. “At one point he had nine strikeouts in a row,” Alhambra coach Steve Gewecke said. “Then he walked a kick and struck the last five out. When he’s finishing his pitches he’s hard to hit and he’s got a swing and miss curveball. He was hitting his spots today. 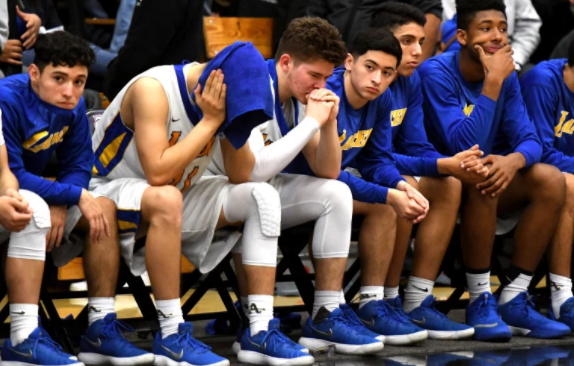 Bishop Amat 1, El Toro 1: In a rematch of last year’s CIF Southern Section Division 1 baseball second-round playoff game, the game ended in a tie after 13 innings due to darkness. The Lancers (4-4-1) got on the board first in the bottom of the fifth when A.J. Barraza scored Jordan Hernandez on a sacrifice fly to center. The Chargers (6-0-1) responded in the top of the sixth inning on Stone Shiffman’s single to that scored Jacon Howhannesian. Bishop Amat’s Steven Loera pitched a very strong 5 2/3 innings, allowing three hits and fanning five batters. La Habra 1, Los Altos 0: The Highlanders (2-7) scored the only run in the seventh inning when Chad Sciacca’s single scored Jacob Baca. Joshua Valencia turned in an outstanding pitching performance for the Highlanders. The senior kept the Conquerors (2-4) offense quiet, allowing only two hits and struck out five in earning his first win of the season. Notre Dame 5, St. Francis 1: It was a tough day for the Golden Knights (1-6, 0-3) as they could only muster up one hit off of Notre Dame (8-0, 3-0) starter Tyler Stromsborg in his four innings on the mound. St.Francis’ Aaron Treloar drove in the team’s only run with a double in the first inning that scored Christian Muro. Village Christian 6, Pasadena 4: Senior David Banuelos connected on a double, drove in a run and scored twice for the Bulldogs (7-3) in their loss to the Crusaders (5-1). Rio Hondo Prep 5, Big Bear 2: The Kares (2-1) pitching combination of Jack Van Cleve, Jake Land and Evan Foor allowed only six hits and struck out nine Bears (6-3). Van Cleve also went 2-for-3 offensively and drove in a run. St. John Bosco 3, Damien 1: The Braves (1-2) scored two runs in the fourth inning that proved to be the difference. Spartans (1-5) senior pitcher Diego Barrera, a University of Washington signee, was solid on the mound. He allowed only one hit and struck out five in four innings. Jacob Coleman went 3-for-3. The Spartans are on a four-game losing streak. Walnut 6, Diamond Bar 3: The Mustangs (2-4) offense was productive early as they scored five runs in the first two innings and cruised to an easy win over the Brahmas (4-4). Senior James Arakawa was the offensive star as he had two hits and drove in four runs. Junior Chris Lara pitched 5 2/3 innings, allowing two earned runs in notching his first win of the season. Rio Hondo Prep 12, Flintridge Prep 6: Olivia Nambu was the main headliner for the Kares (3-1, 2-1) in their Prep League win over the Rebels (0-2, 0-1). The junior third baseman smacked four hits, which included a homer, a double, and drove in three runs. Clairese Rosales allowed only three runs and struck out three in a complete game performance. Flintridge Prep’s Veronica Coyne went 3-for-4. Corona Santiago 14, La Mirada 4: Maddy Bagdonovich and Maya Martinez both drove in two runs, but it was not enough as the Sharks (4-1) scored eight runs in the fifth inning to easily dispatch the Matadors (5-6). For the second straight time, La Serna’s Evan Sipple delivered. The senior gave up one hit – while striking out five batters in six innings to lead La Serna (6-3) to a 3-0 victory over host Sonora (3-5) on Tuesday. The Lancers scored their first run of the game in the second inning when Sonora’s Aaron Rosales failed to catch Isaiah Ochoa’s fly ball that allowed Paulie Duarte to score the game’s first run. Duarte also scored the game’s second run on a sacrifice fly by Josh Valdez. Bishop Amat 8, at Eastvale Roosevelt 2: Blake Archuleta racked up his first win of the season in the Lancers’ (4-4) win over the Mustangs (5-4). The junior pitched six innings and struck out seven while allowing two runs. A.J. Barraza and Ben Hurst both drove in two runs for Amat. At Muir 6, Rosemead 0: Valente Vera and Amaris Henderson both had two hits and Ely Resendiz drove in two runs in the Mustangs (3-2-2) win over the Panthers (0-7). Vera also pitched five solid innings and struck out eight. At Whittier Christian 14, Whitney 2: The Heralds (3-4-1) got a huge offensive performance form Chad Green. The junior connected on two doubles and drove in three runs. He also pitched two scoreless innings in relief and was credited with the win. Glendora 6, at Ayala 4: The Tartans (4-4-1, 1-0) opened up a 6-0 lead and held off a late Bulldogs (6-4, 0-1) rally in the opening game of Palomares League play for both teams. Sophomore Virginia Nemeth connected on a home run and drove in three runs. Freshman Ashley Waite went 3-4 and scored twice. Rio Hondo Prep 14, at Chadwick 3 (five innings): Darcy Bolinger had a huge day at the plate for the Kares (2-1) in their win over the Dolphins (2-1). The junior went 2-3 with a triple at the plate and drove in three runs. Sophomore Clarisse Rosales allowed three runs and struck out six in notching her first win of the season. At Walnut 12, Diamond Bar 4: The Mustangs (2-3) broke up a 4-4 tie in the fifth inning by scoring eight runs in defeating the Brahmas (1-5) . Junior Bailey Rivas went 2-3 with an RBI and senior Gianna Chavez connected on her first home run of the season. Junior Alyssa Joyner pitched five innings in the circle and allowed only two earned runs. The all-encompassing baseball and softball rankings that includes teams from the Whittier Daily News, Pasadena Star-News and San Gabriel Valley Tribune. No. 2 in Division 3 after impressive run in Frozen Ropes tournament. No. 1 in Division 4 with Wins over Charter Oak, Crescenta Valley and Chino Hills. On paper the Huskies are legit with best pitcher in Brandon Dieter. After a rough 2017 campaign, looks like Bearcats are back. Only loss a 1-0 setback to South Torrance in 8 innings. Bruising 7-0 loss to Norco in the Chino tournament. Wins over Sierra Vista, Pasadena Poly. Only loss to La Salle. Five victories includes four shutouts. Ranked No. 7 in Division 2; wins over Glendora, California. West Covina High School baseball coach Ricardo Soriano finally landed his dream job coaching his alma mater, but after just two games in his first season as coach, he was fired Thursday and was given an explanation that it had to do with parent complaints. Soriano, a walk-on coach, graduated at West Covina in 2001, which was the last Bulldogs’ team to win a league title. Soriano said he was given vague reasons for his removal. “If I knew the exact reasons why I was (fired), I would tell you,” Soriano said. Soriano was hired at West Covina after the departure of Kevin Smith, who is now at Covina High School. That is how you deal with redemption and perfection. 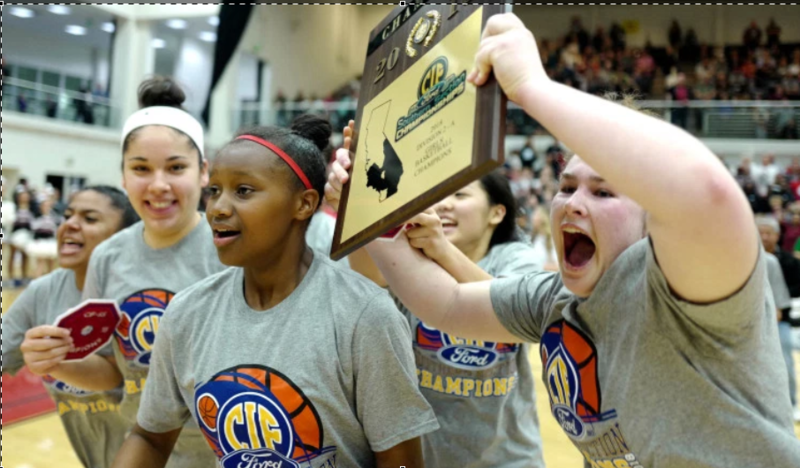 And fittingly, Glendora High School’s Alexis Lowden led the way.There was nobody more visibly shaken than Lowden following last year’s championship loss to Thousand Oaks in the CIF Southern Section Division 3AA girls basketball title game. The way Lowden played in Friday’s Division 2A championship against Downey, there was no way the senior or any of her teammates were leaving Azusa Pacific University without a celebration.Lowden set the tone with her ferocious play from the start and the rest followed. On a rainy Friday evening at Warren High School, South Pasadena girls soccer player Corey Segal raced down the middle of the field, wide open with a chance to score. 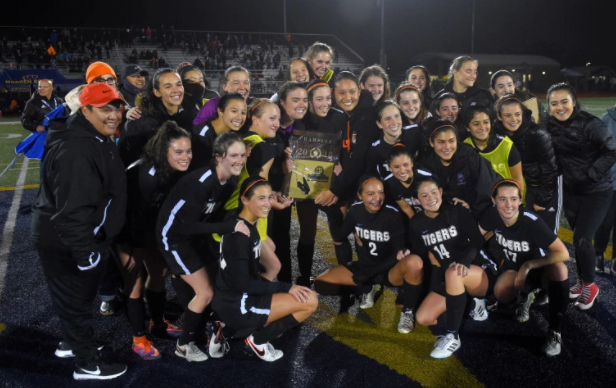 She received the ball from the right wing, flicked the first touch with her left foot, then tucked the ball into the corner of the back of the net with her second.The goal proved to be enough for second-seeded South Pasadena, which went on to shut out No. 5 seed Westminster 1-0 to win the CIF Southern Section Division 5 title.